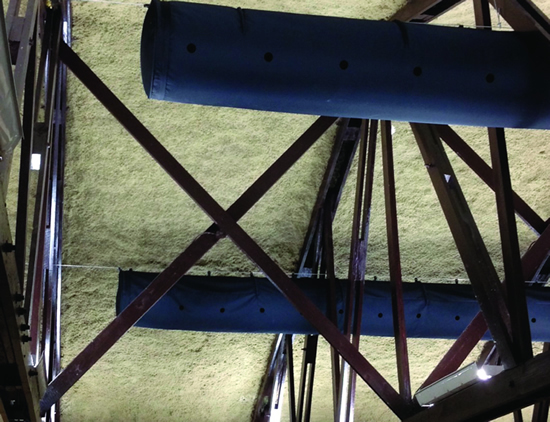 American Rockwool FireStopTB has successfully completed the NFPA 275 – Standard Method of Fire Test for the Evaluation of Thermal Barriers Used Over Foam Plastic Insulation. 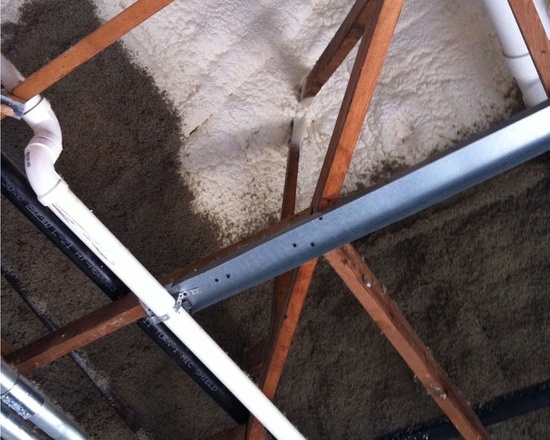 By meeting the criteria set forth by this standard a product has demonstrated that it has meet both the Temperature Transmission Fire Test and Fire Integrity Test requirements of the 2012 International Building Code (IBC) and the International Residential Code (IRC) and is approved to be used as a thermal barrier over all foam plastic insulations up to a 20# pcf density. IBC Section 2603.4 states: Except as provided for in Sections 2603.4.1 and 2603.10, foam plastic shall be separated from the interior of a building by an approved thermal barrier of ½-inch (12.7 mm) gypsum wallboard or a material that is tested in accordance with and meets the acceptance criteria of both the Temperature Transmission Fire Test and the Integrity Fire Test of NFPA 275. Combustible concealed spaces shall comply with Section 718. A nominal 1 ½” (15 minute rating) was evaluated as a stand-alone product and not part of an assembly. A nominal 1 ½” (15 minute rating) of FireStopTB can be applied over all manufactures open and closed cell products up to 20 lb./ft3. Because FireStopTB limited the average temperature rise to less than 250 ° F (120° C) after 15 minutes (1 ½”) of fire exposure; FireStopTB can be applied over the manufactures maximum amount of foam. We believe that we have subjected FireStopTB to the most strenuous test available today. Our goal is to provide the building industry and our customers with the safest and most cost effective products available today. Please contact your local distributor or American Rockwool today for more information. Rockwool was first used in the United States as an insulation in the early 1900’s and has remained a leader in the insulation industry for over 100 years. Manufactured from recycled blast furnace slag and trap rock; Rockwool continues to surpass other insulating products like fiberglass and foam because of the extraordinary benefits it provides. Rockwool - leading the way to a healthy and environmentally friendly home or building. Copyright © 2016 American Rockwool Manufacturing, LLC. All rights reserved.